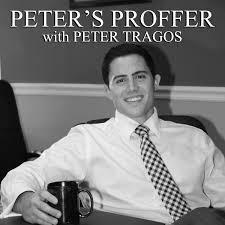 Audioboom / "Peter's Proffer Podcast" "Wills and Trusts"
"Peter's Proffer Podcast" "Wills and Trusts"
Who needs a living will and why? When should you make your will? What needs to be included? In today’s action-packed episode of Peter’s Proffer, we interview Clearwater estate planning attorney Christina Green Rankin to get her expert advice on the world of wills and trusts. "Great Things Tampa Bay" w/ Kyle Sasser "Podfest Report"